Traditional thobe, shemagh and egal worn by friends attending Abdulhadi’s recent engagement party in Jeddah, Saudi Arabia. 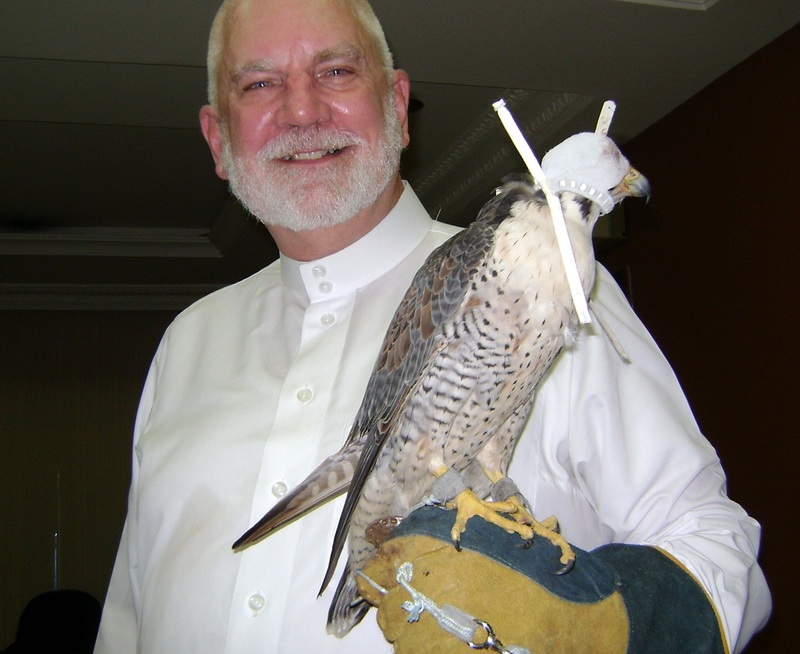 Sam dressed in thobe and shemagh with egal at the Saudi National Janadriyah Festival. The thobe is a full-lenth garment commonly worn by men throughout the Arabian Peninsula. It is normally made of cotton, but heavier materials such as sheep’s wool can also be used, especially in the colder climates of Iraq and Syria. The most common color is pure white, but darker colors are sometimes worn during the cooler months. 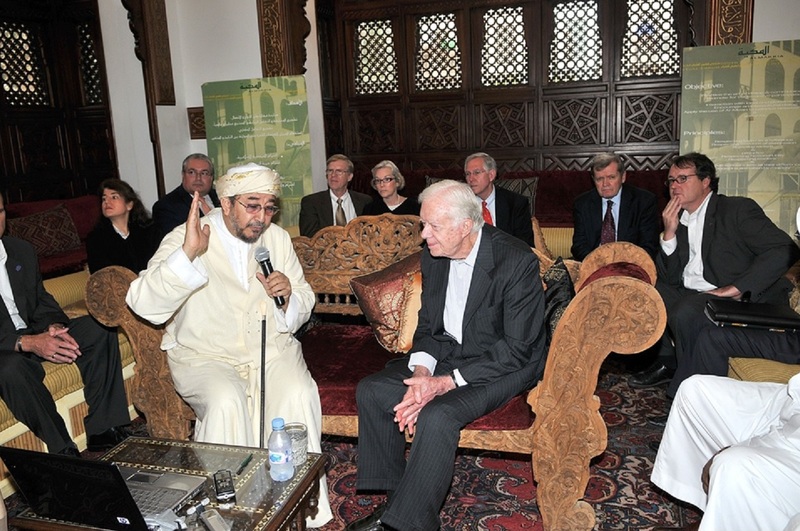 The style of the thobe varies slightly from region to region. The long sleeves and the collar can be stiffened to give a more formal appearance. Other names may be used for this garment. In Oman, dishdasha is the most common word used; in the UAE, the word kandura is used; in Jordan, it is called keffiyeh. 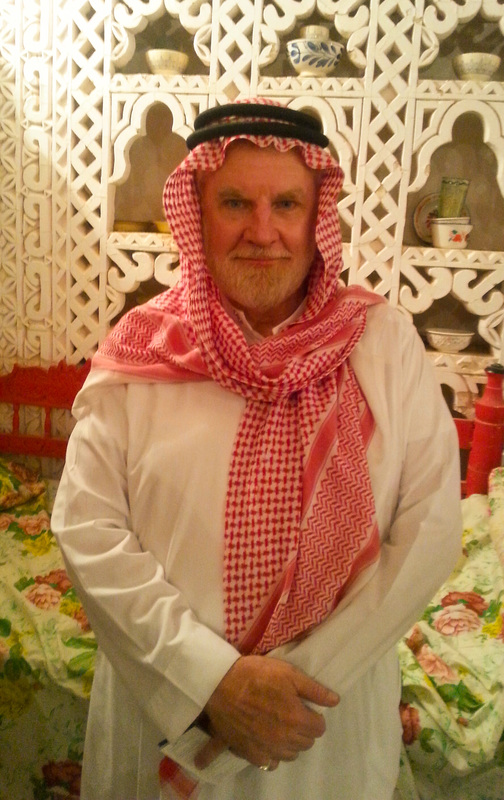 I always wear the thobe in Saudi Arabia. It fits the warm to very hot desert climate. In the Kingdom of Saudi Arabia a white thobe is most often worn with a white skull cap and a head covering called a shemagh. 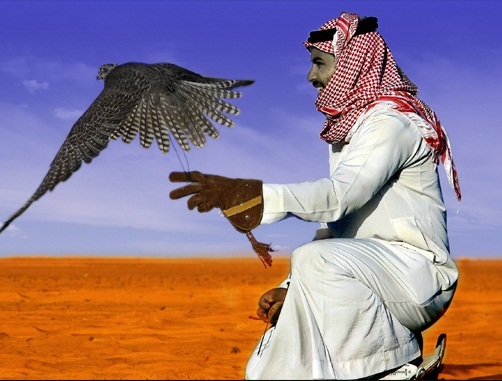 All is generally considered essential clothing in every Saudi man’s wardrobe. The thobe and shemagh are generally requisite dress when visiting government buildings, attending formal gatherings like state functions, weddings, funerals, dinners or the weekly Friday jumah worship service at one’s local mosque. The customary wearing of the shemagh began with the Bedouin tribes of old. Designs and colors have varied through the centuries. Like Scottish tartans with designs and colors for the various Scottish clans, colors and designs of the shemagh have often represented the various Arabian tribes. In Saudi Arabia the predominant design today is a red, checkered effect while an alternative solid white is also fashionable. 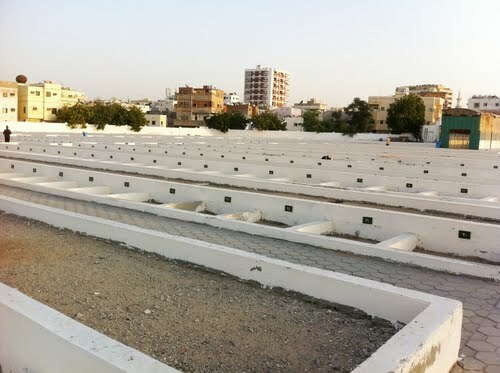 Friday jumah service at Tukwa Mosque in Jeddah, Saudi Arabia. 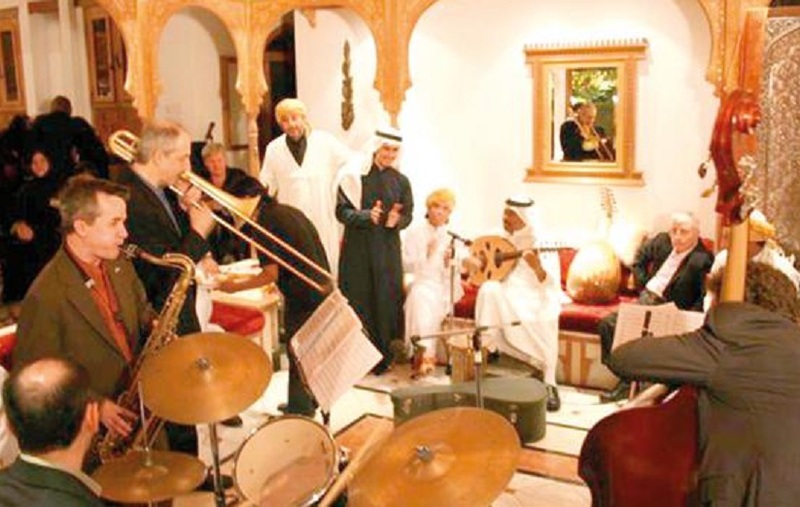 The shemagh historically has served many purposes. 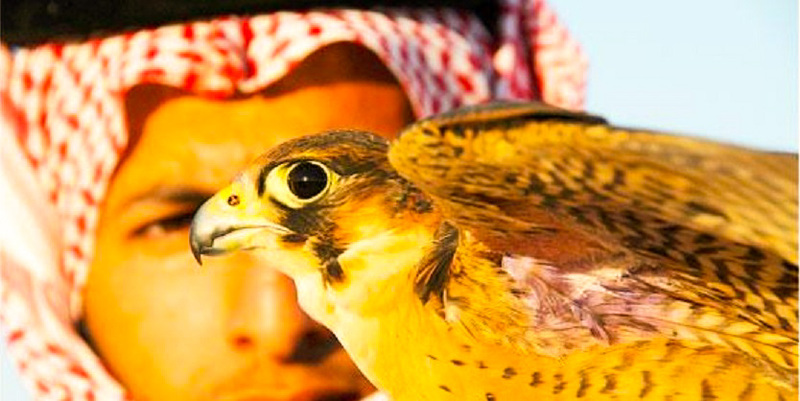 It is used to shade one’s head and neck from the desert sun, but it also many other practical uses, as I discovered when overnighting in the Arabian desert with friends. On windy nights it can be used to conceal the face from blowing desert sand and dust. It can also be worn as a neck scarf to retain heat during cold weather or rolled and worn in a turban style to absorb sweat during hotter, sunny days. 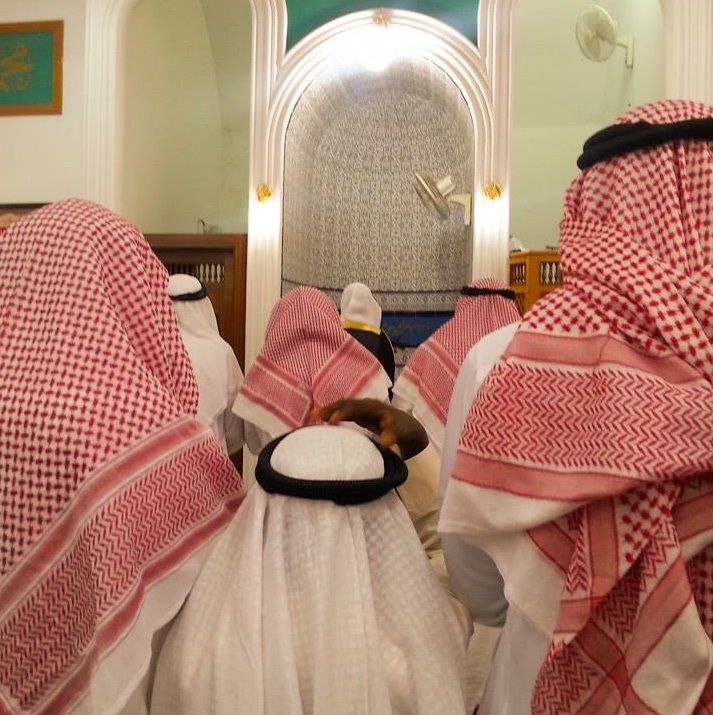 According to the English language daily Saudi Gazette, the shemagh has evolved into a symbol of manhood, particularly among Saudi teenagers who are sometimes expected to wait until they graduate from high school to wear an egal with their shemagh. Thobes and shemaghs today brandish such names as Armani, Cardin, Gucci and other leading fashion houses. The very best handmade outfits sell for thousands of dollars. But, a custom made thobe in the Al Balad (Old Town) of Jeddah can be purchased for $100 or less, depending on material and quality. The egal is the black, woven camel or sheep wool cord that is doubled and used to hold the shemagh in place. It has an interesting history, as I learned recently from a close friend in Riyadh. When milking or grooming a camel, Bedouin tribesmen used this black cord to pin the she-camel’s front right leg in order to keep her from moving. What more convenient place to keep the egal than on one’s head! Today, not wearing the egal is considered by some of the more pious Muslims as a sign of humility, especially those who are devoted observers of the religious teachings of the sunnah; however, most Saudis overcome their humility with pride of Arab tradition. In the short video below, an American tourist is instructed by a Jordanian in the many varied ways to wear his new shemagh. Minarets tower over the world’s mosques as powerful symbols of Islam’s five daily calls to prayer. 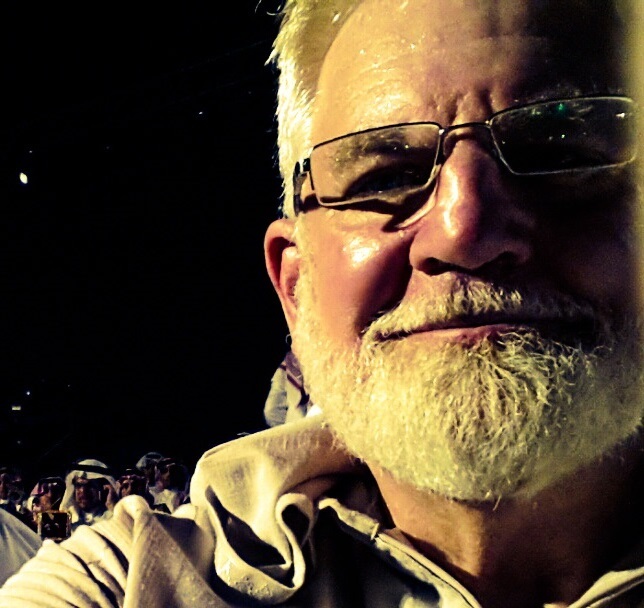 Today my friend Aidarous Al Mashhour drove me to the Khalil Mosque here in Jeddah, Saudi Arabia. After we prayed together at the mosque, Aidarous told the imam about my childhood dream—to climb to the top of a minaret. The imam directed us to the caretaker of the mosque who was more than happy to unlock the door to the inner stairway of the minaret. After some ten minutes of climbing through very narrow openings I arrived at a balcony which encircles the upper section of the minaret. 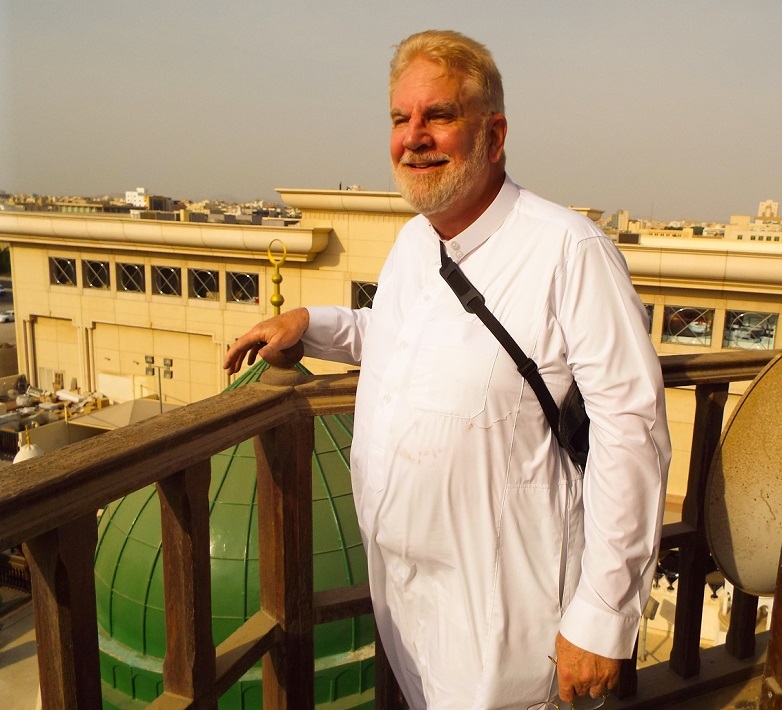 I was so happy to be able to look out over the city of Jeddah and to consider the hundreds of years of Islamic history that minaret represented.. The minaret is one of the most distinctive features of a mosque. 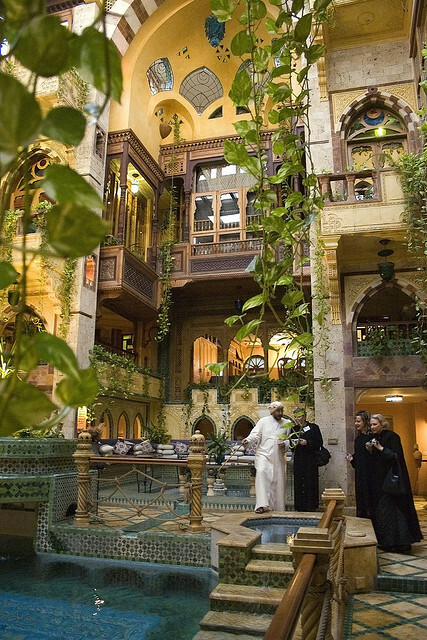 It’s history is interesting, not just to Muslims, but also in the annals of architecture. Remarkably, there are very few references to the minaret in Arabic literature. The name itself is somewhat strange, and in no way represents the purpose for which these towers are built. The word in Arabic means “an object that gives light” ((Arabic nur, meaning “light”; hence mi-nur-rat or minaret). So, from the name itself one could wrongly conclude the minaret to be a type of “light house” or tower with a light on top. Some suggest that the minaret gets its name from the light that the muadhin (“caller to prayer”) would hold as he recited the adhan (call to prayer). Others indicate that in some of the oldest mosques, such as the Great Mosque of Damascus, minarets doubled as illuminated watchtowers. The earliest Islamic mosques had no minarets. 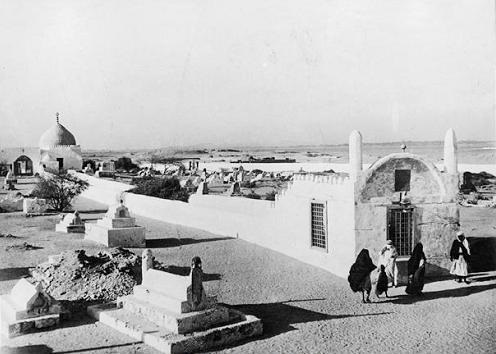 The mosques built in the days of the Prophet Mohammed in Mecca and Medina were very simple. There was nothing like a tower associated with these early houses of prayer and worship. 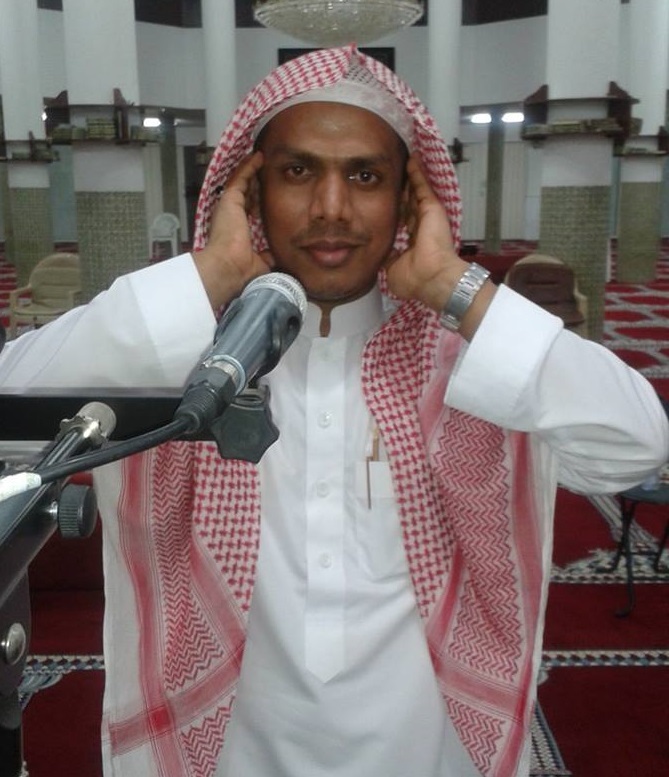 Sam’s friend Muadhin Shafik Zubir calls the faithful to prayer five times a day at Taqwa Mosque near the Red Sea promenade in Jeddah, Saudi Arabia. The use of the adhan goes back to the lifetime of the Prophet Mohammed. 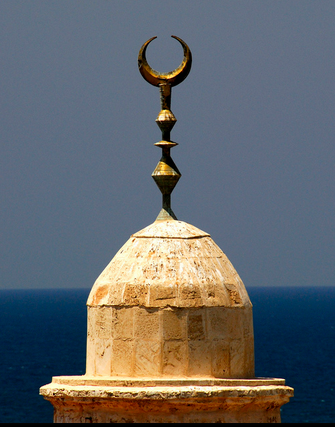 The adhan is, for sure, one of the most characteristic, powerfully evocative symbols of Islam. This Arabic call to prayer, dramatically intoned by a muadhin from high atop a lofty minaret—once heard—it can never be forgotten! “O you who have believed, when [the adhan] is called for the prayer on the day of Jumu’ah [Friday], leave your business and proceed to the remembrance of God. That is better for you, if you only knew” (Sura 62:9). Muslim tradition explains how the adhan came to be used to announce the times of the five daily prayers. I testify that Muhammad is the Prophet of God. 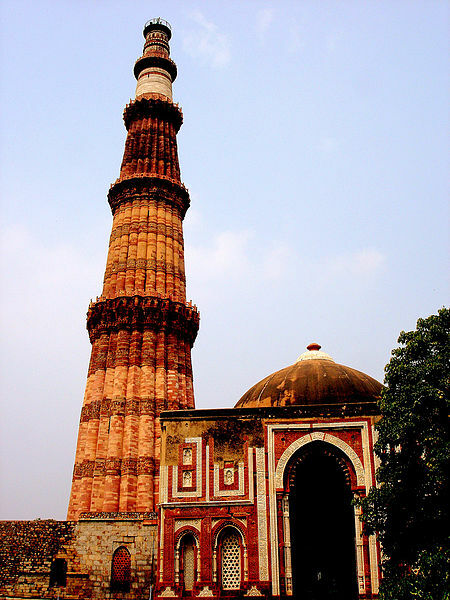 The Qutub Minor Mosque in New Delhi, India, has the world’s tallest brick minaret. According to Ibn Ishaq, the eighth-century biographer of Prophet Mohammed, Ibn Zaid went to the Prophet with his story and Mohammed, having had a similar dream, agreed. He told Ibn Zaid to ask an Ethiopian believer named Bilal, who had a marvelous voice, to call the Muslims to prayer. Early traditions indicate that Bilal made his call to prayer from the rooftop of the Prophet’s house, which doubled as a residence and a place for prayer and worship. 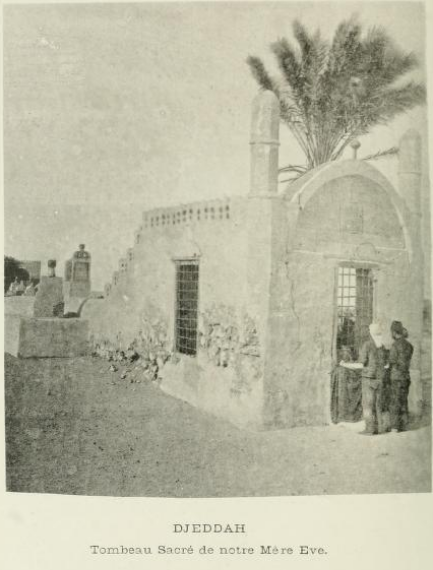 The first time a minaret is referenced in connection with the mosque was in Medina–some 80 years after the Prophet Mohammed’s passing. The massive minaret of the Great Mosque of Kairouan in Tunisia is the oldest standing minaret. Its construction began during the early 8th century and was completed in 836 CE. Its imposing square-plan tower consists of three sections of decreasing size reaching 31.5 meters (103 feet). Considered as the prototype for minarets of the western Islamic world, it served as a model for many minarets to come. The tallest minaret, at 210 metres (689 ft), is located adjacent the Hassan II Mosque in Casablanca, Morocco. The tallest brick minaret is the Qutub Minar in Delhi, India. Perhaps you heard recently about the 12th-century Great Umayyad Mosque in Aleppo, Syria. It was a UN World Heritage Site. Sadly, its ancient minaret was completely obliterated a few months ago during a battle of the ongoing Syrian Civil War. Minarets basically consist of three parts: a base, shaft, and the tower gallery. For the base, the ground is excavated until a hard foundation is reached. Gravel and other supporting materials may be used as a foundation. The crescent moon adorns the tops of many mosques. Minarets may generally tapered upward, square, cylindrical, or polygonal (faceted). Stairs circle the shaft in a counter-clockwise fashion, providing the necessary structural support to the decidedly elongated shaft. The gallery is a balcony which encircles the upper sections from which the muadhin may give the call to prayer. It is usually covered by a roof-like canopy and adorned with ornamentation, such as decorative brick and tile work, cornices, arches and inscriptions, with the transition from the shaft to the gallery typically sporting muqarnas (collections of small corbels that form a transition from one plane to another). Formerly plain in style, a minaret’s place in time can be determined by its level of embellishment. The crescent moon, sometimes combined with a star, often tops the minaret. This symbol was often used by the late Turkish Ottoman Empire; however, its not the official symbol of Islam. In many nations; however, it remains a generally accepted symbol of Islam in much the same way the Star of David represents Judaism or as the cross is representative of Christianity. The crescent moon points to God’s awesome creation. We read in the Qur’an, “Surely your Lord is none other than God, Who created the heavens and the earth in six days, and then ascended His Throne; Who causes the night to cover the day and then the day swiftly pursues the night; Who created the sun and the moon and the stars making them all subservient to His command. Lo! His is the creation and His is the command. Blessed is God, the Lord of the universe” (Qur’an 7:54-58). A similar sentiment is echoed by the prophet King David in the Psalms, “When I consider your heavens, the work of your fingers, the moon and the stars, which you have set in place, what is mankind that you are mindful of them, human beings that you care for them?” (Psalm 8:3-5). The crescent moon is not, as some Islamophobic individuals continue to wrongly assert, a “secret Muslim moon god”! The Qur’an forbids the worship of idols of any kind. “And from among His signs are the night and the day, and the sun and the moon. Do not bow down (prostrate) to the sun nor to the moon, but only bow down (prostrate) to God Who created them, if you (really) worship Him” (Qur’an 41:37).